WHAT IS A CONCUSSION ANYWAY? It’s well known that you can get a concussion from playing sports, but all it really takes to get a concussion is to suffer a hit to your head from a slip, a trip or plain old clumsiness—how did that shelf get there? You can even get a concussion when wearing a helmet—such as when bicycling or skiing—because sports helmets tend to protect us from more serious injuries but not that well from concussions. These brain injuries are so common that the Brain Injury Research Institute says one happens in the US every 15 seconds. Damage occurs because the hit to your head causes your brain to move inside your skull. Even with a mild concussion, you may lose consciousness for seconds or minutes or stay conscious but feel disoriented and confused. You may have amnesia with no memory of the injury or what came immediately after it. With “mild” concussions, a brain scan won’t show any signs, but that doesn’t mean that you’re concussion-free…or out of the woods. Doctors use the name “mild” traumatic brain injury because there are more-serious cases—replace “mild” with either “moderate” or “severe”—that cause loss of consciousness for hours or days, result in abnormal brain scans, and can lead to amnesia for as long as 24 hours with a moderate TBI and longer with a severe TBI. But mild TBIs are still serious and can cause symptoms such as headaches, nausea and vomiting, fatigue, difficulty with speech, problems sleeping or sleeping more than usual, dizziness, loss of balance, mood changes, depression or anxiety, memory problems, blurred vision, ringing in the ears, and sensitivity to light. For 22% of people who get mild TBIs, at least one of these problems can last for a year. 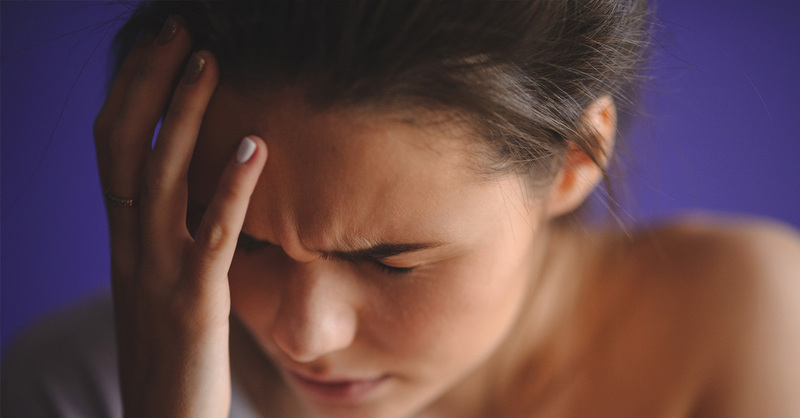 While moderate and severe cases always receive close monitoring, usually in the hospital and possibly in the intensive care unit, doctors don’t have a “best practices” protocol for people with mild concussions, and that means these patients may not be getting the care they need after they leave the emergency room. In fact, according to a recent study at the University of Southern California published in JAMA Network Open, among people who had mild concussions, did go to the ER for them and continued to experience three or more moderate-to-severe symptoms, only 52% went on to see their doctors about these symptoms. Only 42% of people who went to the ER for a concussion were even sent home with information to help them understand TBI. A follow-up visit with a physician is key to know when you can safely go back to your normal routine and to make sure that your recovery is on track. Call your own doctor within a day to let him or her know what happened and schedule a visit. Experts at Weill Cornell Medicine suggest asking for physical and cognitive evaluations within a day or two of your injury whether or not you went to the ER—these evaluations can tell you whether you’re experiencing any specific problems with thinking or motor skills, what treatment you might need, and when you can get back to everyday activities. If your symptoms don’t go away within a week or two or if they get worse, you’ll want to see a neurologist. This specialist will do a full assessment and talk to you about treatment for ongoing problems such as headaches, trouble sleeping, cognitive or emotional problems, vertigo and vision issues. For example, cognitive remediation therapy can help improve memory and attention, and rehabilitation with a physical or occupational therapist can help you work on balance. Without this care, daily life will stay challenging. There was also some positive news in the study to keep in mind: People who initially went to a health-care facility with a TBI department— providers who specialize in concussions—had the best follow-up care. To find facilities near you, check the resource directory at Brainline.org or do an internet search for hospitals with a trauma or TBI department near you.